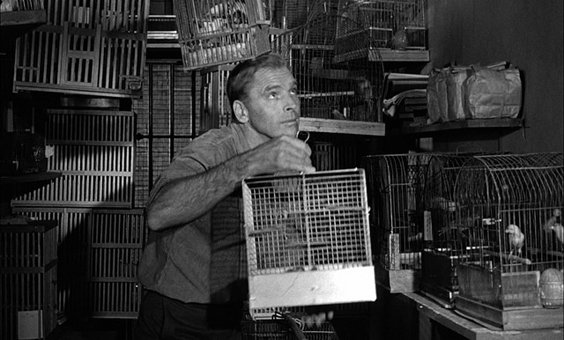 The Birdman of Alcatraz – Film Review. Sublime new bluray and DVD restoration. Burt Lancaster’s career was a rather intriguing one. He could easily have become just another member of Hollywood’s beefcake brigade, but he had a lot more about him than mere muscles and a handsome face. An injury cut short his circus performing career, prompting a reluctant move into acting. But the big top’s loss was cinema’s gain. Lancaster rarely traded on his appeal as a heart-throb, opting for more interesting roles in the likes of Elmer Gantry (for which he won his only Oscar), The Killers, Sweet Smell of Success, The Swimmer, From Here to Eternity and Separate Tables. He also took control of his own career by setting up a production company with producer James Hill and agent Harold Hecht. 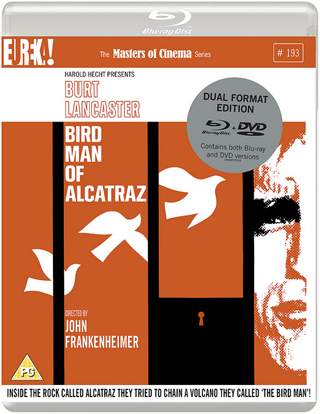 One of their most accomplished works was The Birdman of Alcatraz, a true highlight on the trio’s CVs. Despite problems during production (original director Charles Crichton, of The Lavender Hill Mob fame, clashed with Lancaster and was replaced by John Frankenheimer, with whom he’d recently worked on The Young Savages), the film is a masterpiece. It’s based on the true story of Robert Stroud, although it’s widely accepted that plenty of artistic licence was taken with the events depicted. When we first meet him, Stroud is a violent man, a killer incarcerated in Leavenworth Prison. Although saved from the gallows by a campaign led by his devoted mother, he’s trapped in solitary confinement, seemingly for the rest of his life, but finds solace in raising birds. With plenty of time on his hands, Stroud learns all he can about his avian friends and becomes a leading authority. But, when he’s eventually transferred to Alcatraz, he’s forced to leave them all behind. Really, the film should be called The Birdman of Leavenworth, but that doesn’t sound quite so catchy – or menacing. What unfolds is an incredible tale of self-improvement, of a hugely intelligent individual turning around his life despite being kept in possible the most appalling conditions imaginable with no hope of ever being released. Much of it may be fictionalised, but who cares when a movie is as compelling as this? Lancaster is superb, believably portraying a man who ages 50 years before our eyes; even the make-up still works well, perhaps aided by stunning black and white photography – colour may have revealed the joins. Frankenheimer adopts a claustrophobic filming technique with German Expressionist-style shadows that bring us right into Stroud’s cell – a place nobody will forget in a hurry.